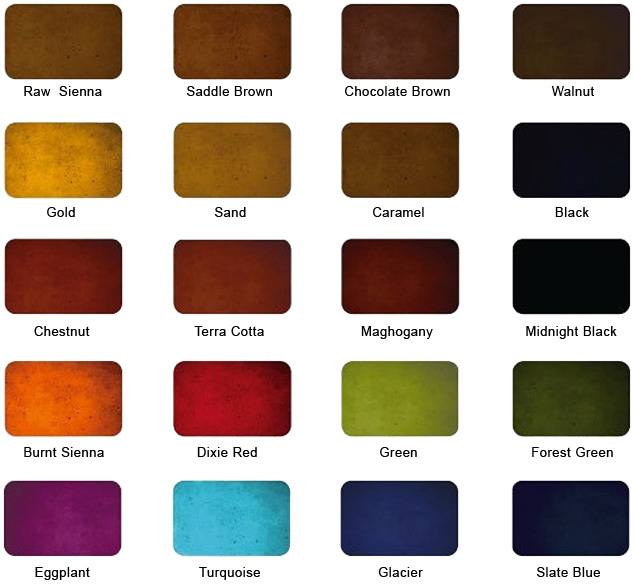 Below are colors available with the acetone or water based staining process. 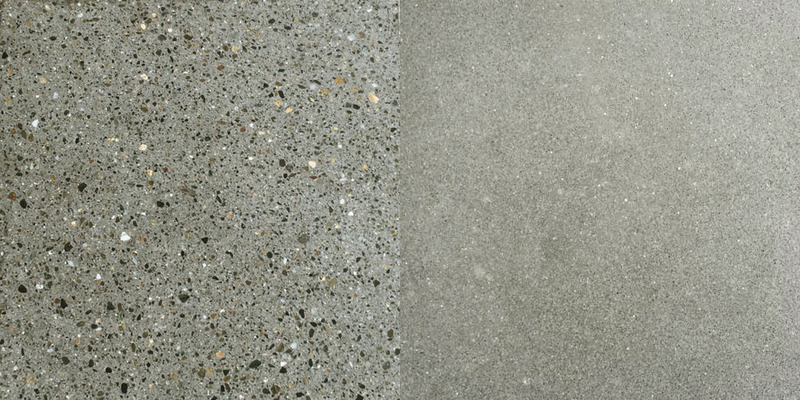 Tru-PC with aggregate, Tru Gray with only fine sand as aggregate. These photographs of actual samples each represent a 6" x 6" area. These products are applied @ 1/2" thickness over a sound substrate, with a bonding layer, and then polished.